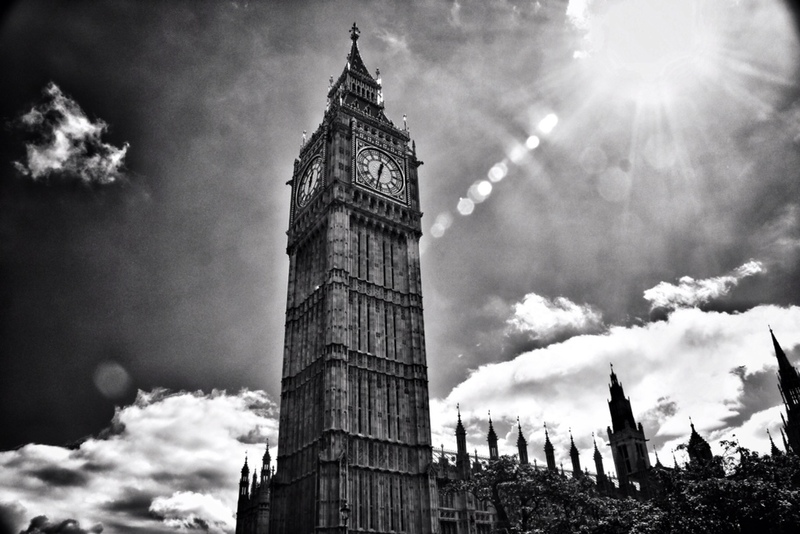 Yesterday we visited Westminster and had a phenomenal tour through it. Words and pictures fail to properly address the scope of how the building is imposing and incredible to behold. 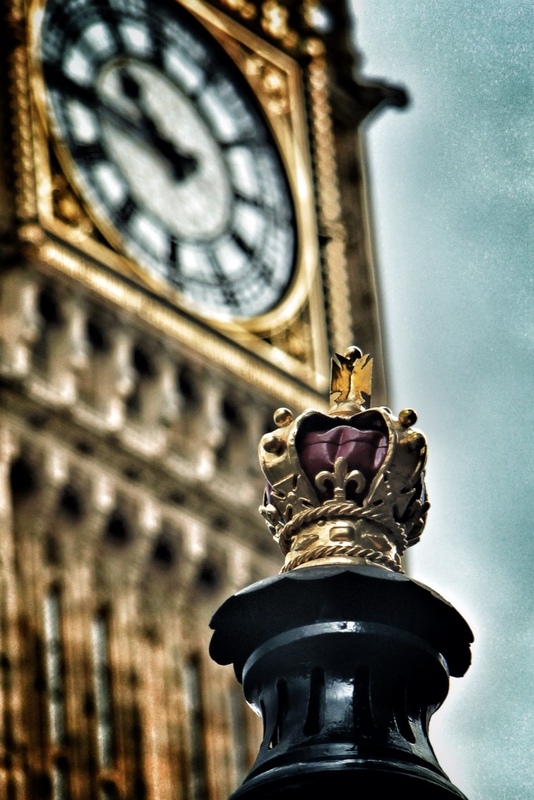 We had climbed out from the Westminster station at 9:59 AM, and at precisely ten o'clock, Big Ben started ringing. The vibrations reverberated through the air, and we stood awestruck at the foot of the massive tower. 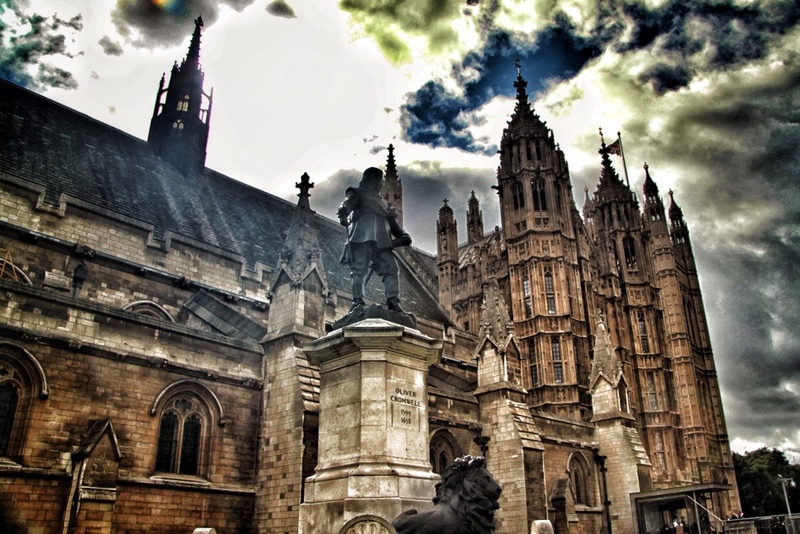 As we wandered over to the public entrance to Westminster, the imperial architecture was an amazing lens for understanding the power that the English once wielded. The soaring height of the building, gilded with gold leaf and intricate carving, struck me silent (a rare occurrence, I'm aware…) with its sheer impressiveness. The Union Jack flew overhead as we got closer to the entrance. It always feels a touch strange to see it rather than the stars and stripes that I am used to. 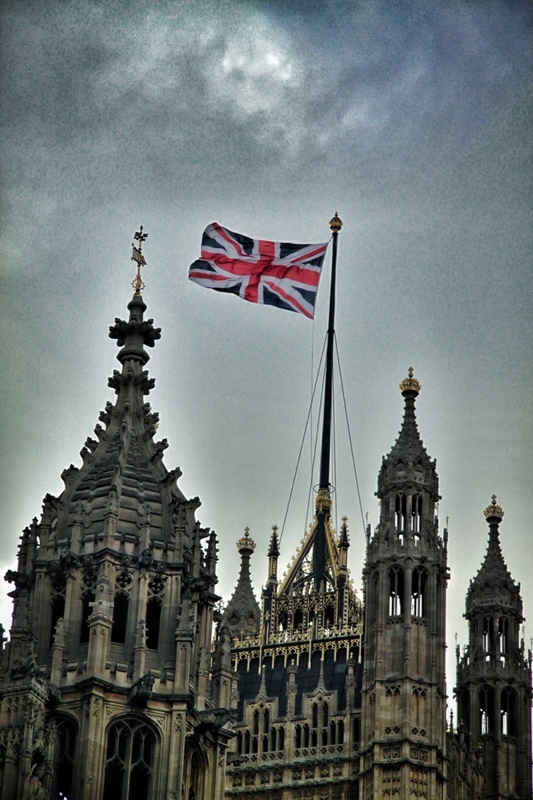 The flag seemed majestic, a massive banner waving in the wind atop an ornate tower. History looked on as we marched down the path towards the public entrance. 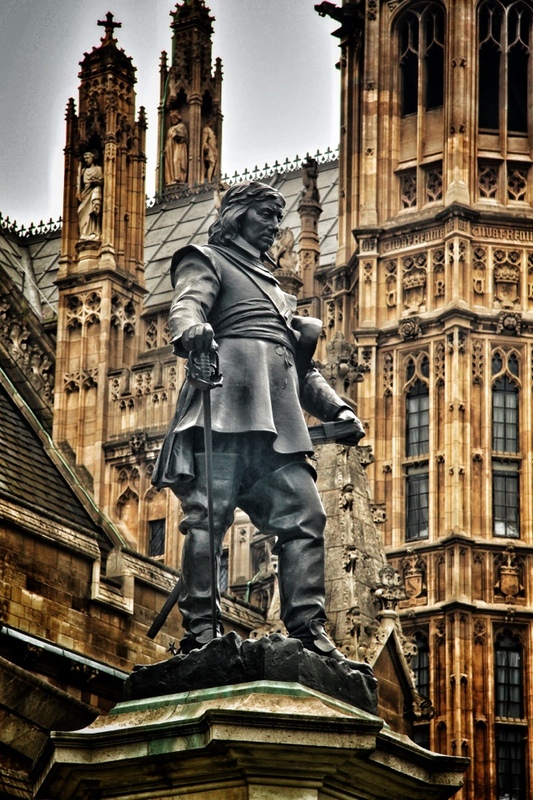 A statue of Oliver Cromwell seems to stand guard, judging the visitors as they move down the path. Though it was decently early, the area was already throbbing with tourists. 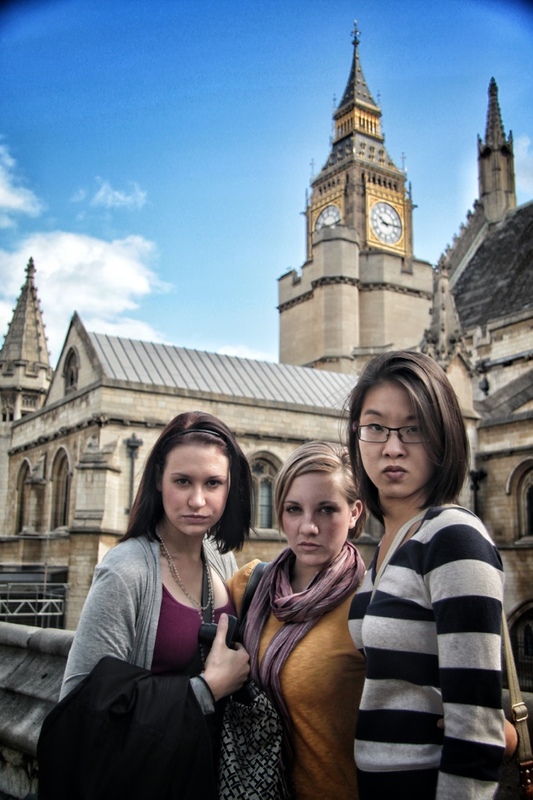 Some of us remarked that it felt good to not be the most obvious Americans in London. It's interesting to see how much like home this city is becoming. With each trip on the tube, each purchase in pounds rather than dollars, each cup of tea, I am feeling much more adapted than I expected. It's a little strange to note the mannerisms we have picked up subconsciously. “Sorry” (sore-ee) has replaced “excuse me” or “pardon me” and we've finally begun asking for the “bin” rather than the trash. It's the little things that I barely notice that help us blend in more. The architecture had so many little details. Every inch (and centimeter, we are in London, after all) was adorned in one way or another. It's a style that I have never really seen in the United States, but seems to be all over the historic parts of London. 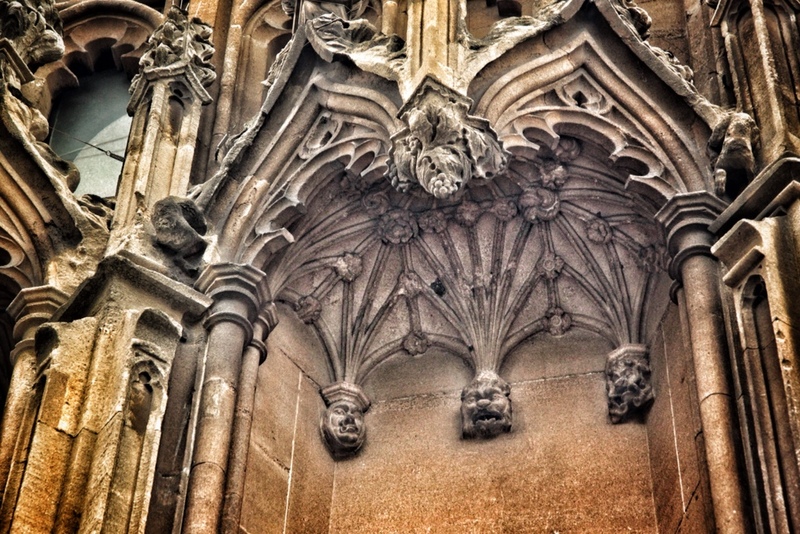 It gives all of the buildings a little extra character, with gargoyles glaring down from their corners and ledges, swirled carved plants and faces wrapping themselves around walls, and the royal lions majestically commanding attention. 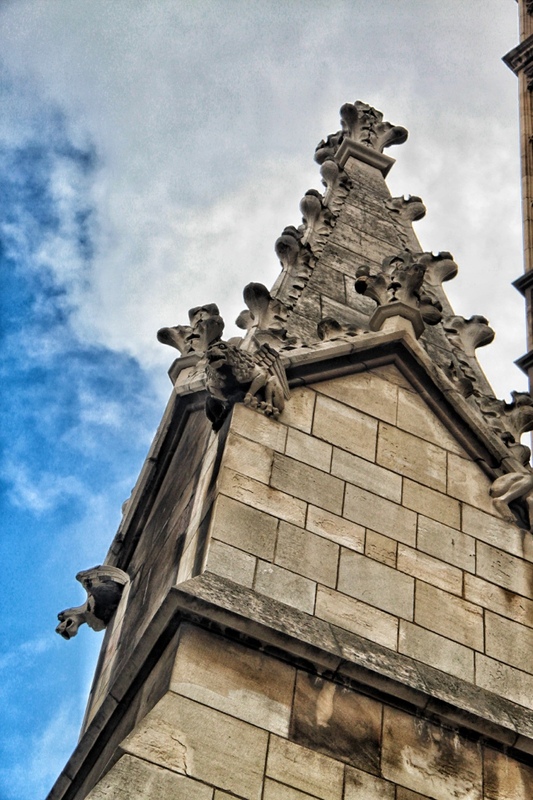 Westminster was no exception, and the walls seemed alive with movement and carvings and columns. 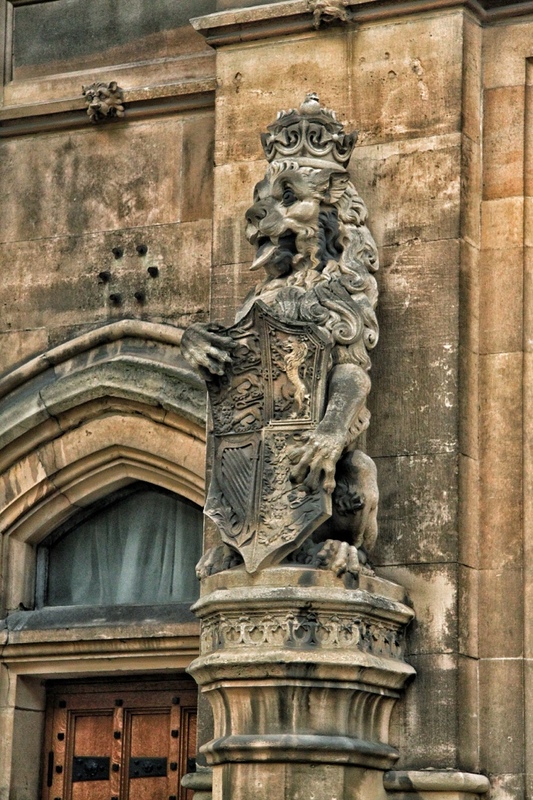 The Crown and Lion were everywhere, reminding all who enter that it was at the Royal Family's order that this massive building was created. We finally made it inside and past security, entering the building itself. The main hall was immense, with huge carved wooden beams (hundreds of years old) holding up the ceiling. 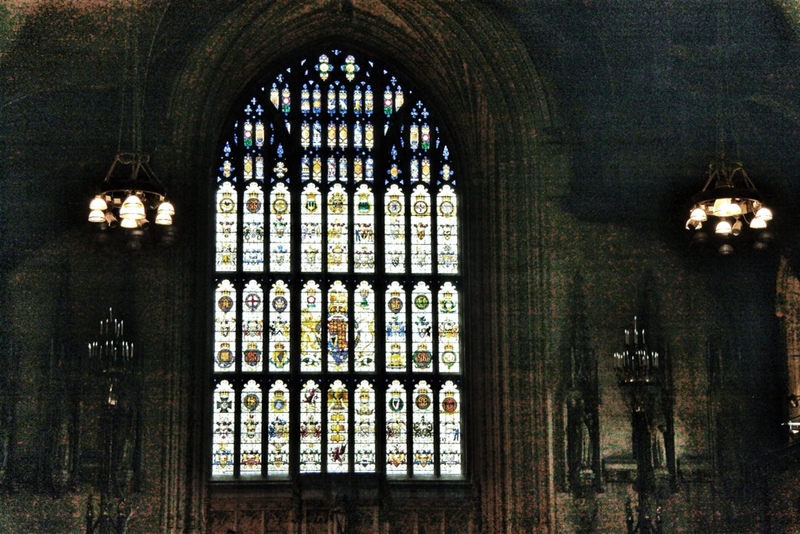 A giant stained glass window, comprised of many coats of arms, shone with intensity from the intermittent sun. This was a room that was filled with history. This room is where kings and queens (and later, non-royalty like Winston Churchill) laid in state, where foreign leaders and important people have addressed both houses of Parliament, a room that saw monarchs and traitors sentenced to their deaths. It was surreal to walk the same paths of those people of the past. We left this hall on our tour of Parliament, but past the main hall, no cameras were allowed for security reasons, so I was forced to resist the urge to capture the incredible sights within the remainder of Westminster. 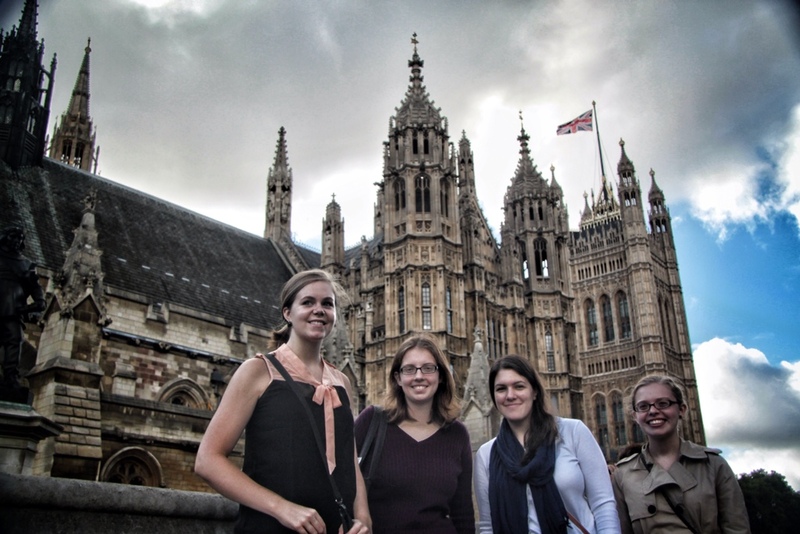 We saw the Queen's throne in the House of Lords and her personal room outside it. Golden statues of long-deceased kings watched us from above, imposing and regal in full war armor. 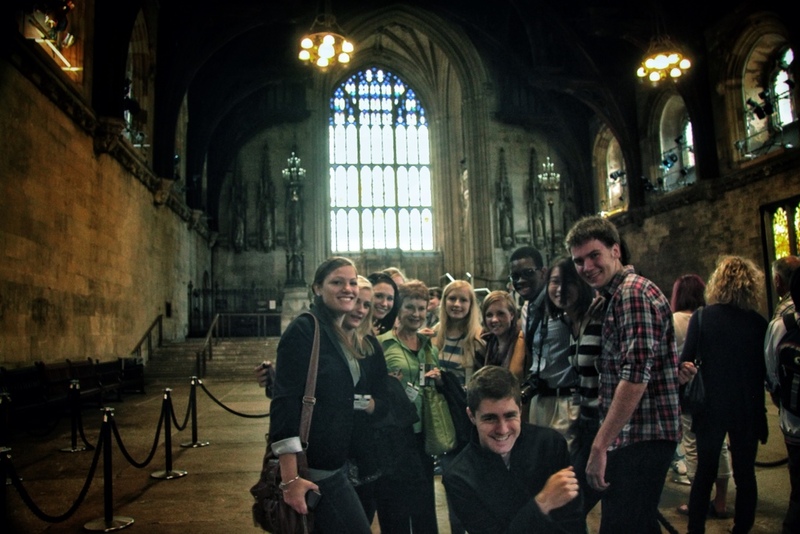 We toured both house of Parliament, seeing where the House of Lords and House of Commons get to work and vote. 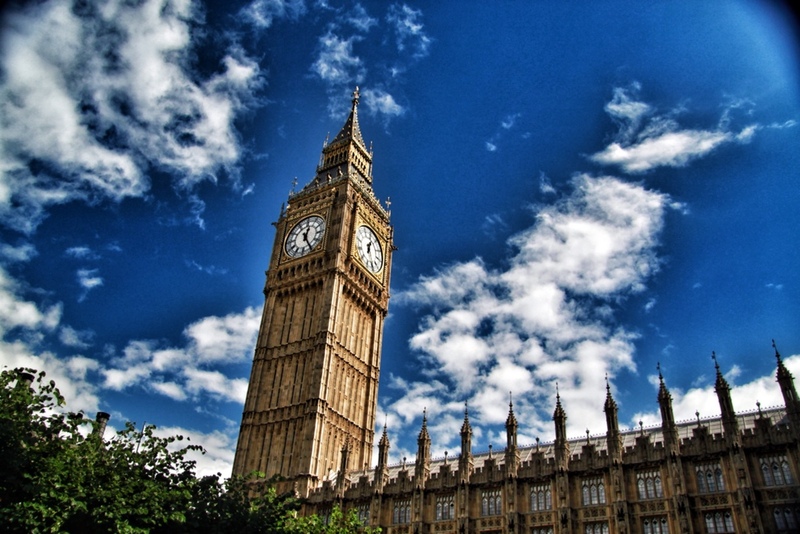 The House of Lords had everything in red, while the House of Commons worked in green. (Our guide joked that no one really knew why it happened, but was one of those things that just continued once it was noticed.) We also walked through the voting procedure, which is pretty quirky and tradition-infused. 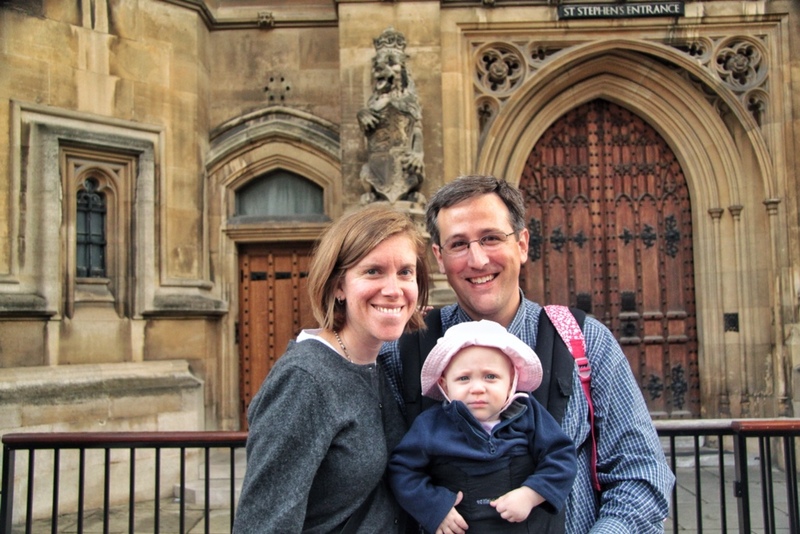 Grace, Professors Guenther's/Prevost's precocious one-year-old, murmured a loud “aye!!! !” with unintentional, yet incredibly comedic timing. Her other murmuring and babbles led our guide to joke that she made about as much sense as most members of Parliament. It was amazing to see all the statues and art, as well as begin to understand the subtle (and not-so-subtle) differences between our government and the British government. All-in-all, it was a tremendously fun visit and great first experience at Westminster. We got some great group pictures as well (as seen below) and then proceeded onto Professor Vinter's home to have a garden party. 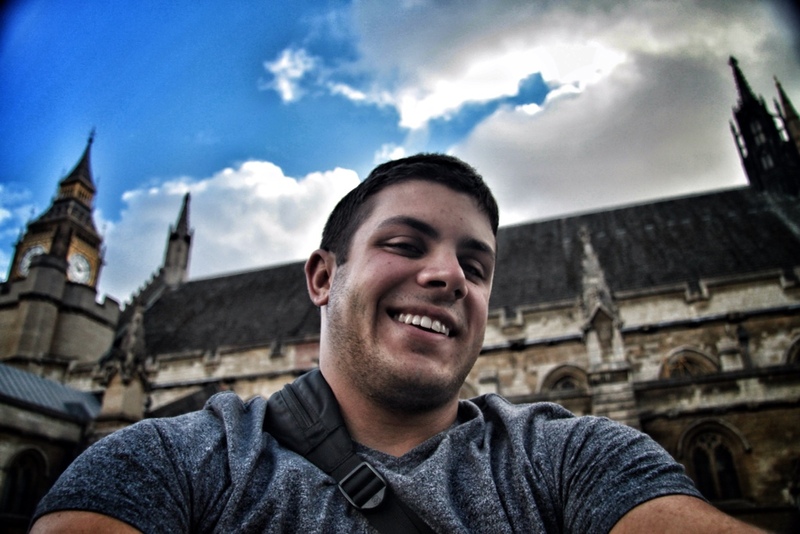 Selfie With a DSLR? Why not? Thanks mom! Love to all of of you! So cool! 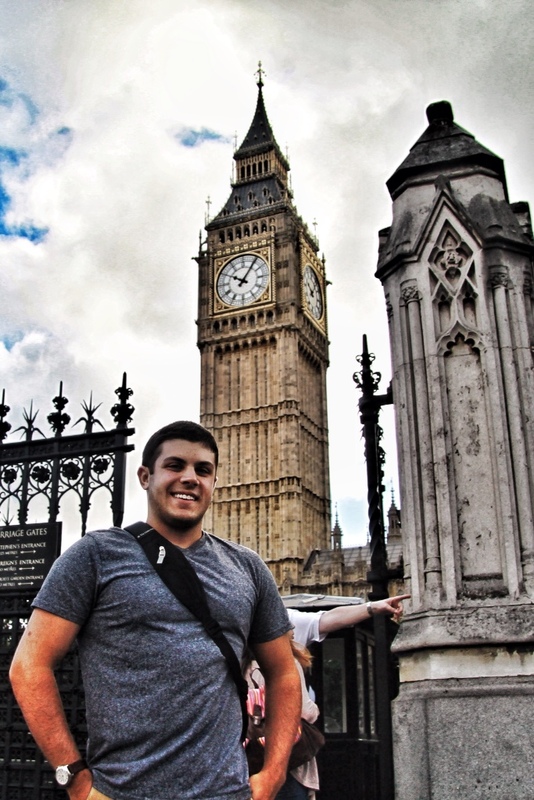 I want to study/explore London once I finish culinary school. Looking forward to pictures of food and more of London!! I’ll keep them coming! Thanks for reading! 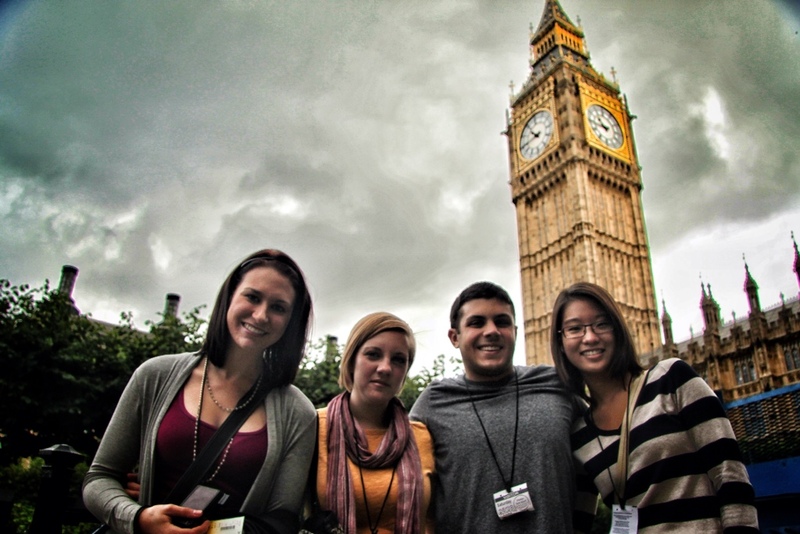 We are enjoying your pictures and your accounts of the London surroundings and activities with your fellow students. Keep them coming and have a great semester.